The Politics of Nationalism. ! Elitist who consider them selves cleverer than anyone who disagrees.! I think the subsequent Posts have somewhat proved my point. To think they want to run Scotland under King Eck .!!! Seems to me that both sides are as bad as each other the no campaign with their fear campaign and the yes campaign who see Independance as a panacea for all ills. 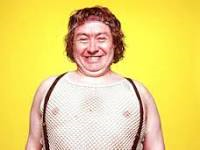 I think the situation was best summed up by Rab C on the Hogmanay show last night - "2014 will be the year the great Scottish people will decide if they are to be shafted by Westminster or Holyrood"
Where Rab C is concerned,should it not be " Many a true word spoken in vest " ? First good comment from Dylan. Well done ! Completely off topic, but I particularly enjoyed the music in these videos. Back on topic...I liked the Rab C Nesbit quote whether it be in jest or in vest it has a ring of truth about it. John mcn. Spot on with your job analogy. The Scots went out into the world and made it what it is. Look at all they have achieved! The Union needs them. Stronger together. Better together. I think you will find most Scots went out into the World because the Union did not want them, what they achieved was in spite of the Union not because of it. And Dylan, one of many examples of Scots being treated as second class being the Highland clearances, sheep before people. Stronger together. Better together............You're having a laugh. Why do we want independence? Well for me personally, I can see no other way to get the tories out of Scotland forever. As was stated in previous posts we are 2nd class citizens to the South of England. I know there will be problems if we get independence...but it is not uncommon now to have a new country/state come into being. Reading comments from family and friends in Scotland, I would ascertain the union is already lost. Having said that, folks seem to change their mind a number of times when it comes to referendums. The strength of the campaign on the young electors will play a large part and young minds need good, true information. I say bring on that information sooner rather than later. I say bring on that information sooner rather than later. I agree with what you say eidas, but the YES campaign has produced all the information anyone could want, i can't think of anything more they could provide, it is time that the Tory funded NO campaign came out with information as to their vision of the future for Scotland after a NO vote, how much will income tax rise, how much will the Barnett formula be cut or will it be scrapped altogether, will a Tory/UKIP coalition mean the scrapping of Holyrood, will i have to work until i'm 69, will our armed services be reduced even more? etc etc.  As you say, we need this information sooner rather than later if we are to make an informed decision. They were thrown off by fellow Scots Landlords who were every bit as bad as the English ones.! Greed and self interest know no boundaries. The Internationale unites the human race.! Not Nationalism which is divisive.! Dylan, i did not say anything about English landlords, i was saying that those who were forced out of their homes to move abroad to seek their fortune were victims of the union, and yes, i know there were Scots landlords who profited from the union and still are, although nowadays their known as Tories. And it is because i am an Internationalist that i want to see my country recognised in it's own right in the World, joining the great community of independent nations, not as some small region of Greater England or Britain. Wether we want it or not eh? Dylan ... I want to see my country recognised in it's own right in the World, joining the great community of independent nations, not as some small region of Greater England or Britain. This, alone, should be reason enough for the great majority of Scottish folk to finally right the wrong that took place all those years ago when Scotland's heritage was sold for a bowl of pottage. I'm not one who likes to see divides in nations; as in the well known North/Souths and East/Wests which we are all aquainted with, and I certainly favour re-unity when this happens but Scotland was a Nation unto itself and should be returned to the people of Scotland as such. We saw; and still see, the clamour for independant recognition of sovereign states which took place after the fall of the Soviet Union, which Union was anything but soviet. Scotland should heed the opportunity; no grasp it, to be a Nation once again.